That’s a quote we always see on a billboard when driving to San Francisco. And it pretty much sums up our love for life and pizza. ‘Cuz we love pizza. Fancy pizza, cheap pizza, boxed pizza, microwaveable pizza, pizza pockets – you name it, we’ll eat it and enjoy it. Our favorite pizza place in L.A.? Mulberry Street Pizza. In San Francisco, we’re partial to Irving Street Pizza. NYC? Everywhere. Don’t get us started on Chicago. Our love for pizza is why we’re thrilled to work with Mobi Pizza. Take equal parts social gaming, Yelp integration and pizza, and you’ve got the new free mobile app, Mobi Pizza. 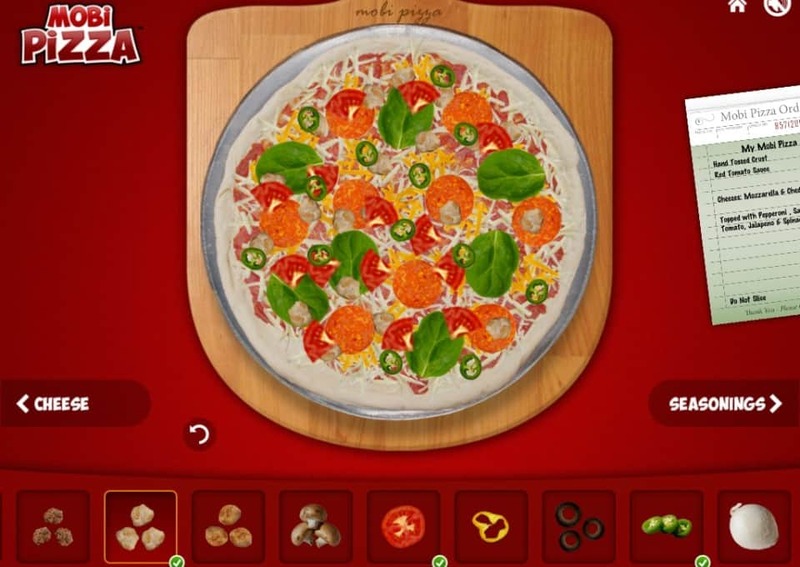 A hungry gamer’s dream, Mobi Pizza is the only independent app where users can play a Pizzeria Challenge game, make over the top “dream” pies, and check Yelp listings for local pizza parlors, all from their iOS device. Mobi Pizza challenges players to run a successful pizzeria, while managing an overhead of $100 a day to stay in business. The Pizzeria Challenge is absolutely a time management game, as you’ll find order tickets piling up once you start creating your first pie. With the pressure of a ticking clock, this quickly becomes a game of memory and coordination, as you rush to fill and ship orders. The more pizzas you bake and ship successfully, the more money you make in a day. Mobi Pizza is even sensitive to the personal touches you add to your pizzas, paying out tips for extra sauce and toppings, and charging for botched orders. Not a pizza-pie virtuoso? No worries. As with any good app, Mobi Pizza gives you the opportunity to purchase more “Mobi Money” within the game. You’ve got to spend money to make money, right? One of the most interesting features of the app is the Yelp integration. If you develop a craving in the middle of the game, switch to the Yelp directory to locate pizza shops close to your location. You have full access to Yelp’s listings, reviews and even directions capabilities. In the coming months, Mobi Pizza will launch a feature allowing users to order pizza directly from the app. 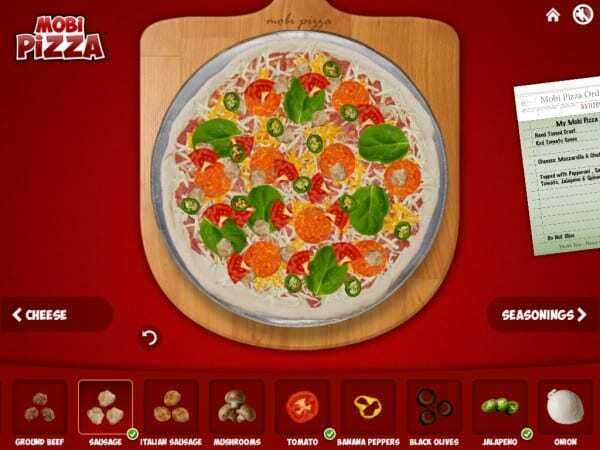 Mobi Pizza is a great example of combining social gaming with real usability. That, in tandem with its genuinely fun and interactive game-play will keep this new app in high rotation on our iOS. Originally created for the iPad, Mobi Pizza is also available for the iPhone and iPod, and has been optimized as a native app for both iPads and iPhones. Download the Mobi Pizza app for free from the iTunes store.